If you hate rants, you probably will want to skip this one. This is definitely one of those where I just need to get something off of my chest. It has to do with things that irritate me about about TV and radio commercials. First, in case you haven’t noticed, TV commercials usually are broadcast at a higher relative volume than the program in which they are located. You’re not imagining that. In fact, President Obama just signed the CALM Act into law that is supposed to help reduce the volume of commercials. Did we need a Federal law for this? Recently it seems that whenever Obama can’t get something passed he tries to use a Federal agency to get the same result using a rules change. Those don’t require Congressional approval. The EPA is particularly good at this kind of end run. I figure the CALM Act was important because Congresscritters want to go back home and tell their constituents they were looking out for them and got those annoying commercials turned down. The broadcasters have a point, though: today, depending on what kind of show, the dynamic range used in a soundtrack could be quite wide, especially on the hi-def side. Our local Fox HD channel tends to broadcast at a lower overall volume level than the other local channels. We tend to turn the volume up on shows like “Fringe.” Then when the commercials come on we’re blown out the windows behind the couch. It would be nice if the broadcasters, or at least the local stations, could actually monitor this and limit the volume on the commercials. I always thought it was funny that certain topics and language on TV was supposed to be kept to the 10 o’clock hour – except that only applied to the Eastern time zone. Since the same national broadcast schedule is used for the Central time zone, our kids had to be ushered away from the TV at 9 to be kept from the mature stuff. Does that mean the kids in the Central time zone (and others) don’t matter as much as the kids on the East Coast? That wasn’t my point, though. It’s that this rule apparently doesn’t apply to commercials. Cialis and Viagra commercials are on pretty much at any time of the evening, from what I can see. And since the distribution of commercials throughout the evening is apparently done by cretins, it seems to be almost a given that the same commercial will appear during a program three or four times. 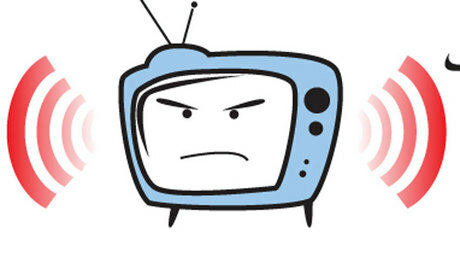 (Cable channels like USA are even worse; sometimes they have only a couple of commercials to run for a whole hour plus the promos for their own shows.) I really don’t want to have to explain what erectile dysfunction is to my granddaughters! And there was a radio commercial playing over the last couple of weeks having to do with upgrading the electrical grid in Illinois. The beginning of the 60-second spot talked about how Thomas Edison wouldn’t recognize much of today’s technology, but he would recognize our outdated, century-old electrical grid. Well, he probably wouldn’t. I’m not even going to talk about the fact that there have been substantial changes to the grid since then, which should be obvious to anyone. Besides, our electrical grid in the United States uses three-phase 60 cycle alternating current, and the technology used to build that grid originally was invented by three Hungarian engineers and then refined and simplified by Nikola Tesla and Charles Steinmetz, among others. Edison was adamant about using direct current for power transmission and stubbornly pushed it even when it was clear that it was an inferior system and that practically all towns and cities were adopting alternating current. I recently finished reading a biography of Edison. The Wizard of Menlo Park, by Charles E. Stross. The most recent biography of Tesla I’ve read is Prodigal Genius: The Life of Nikola Tesla, by John J. O’Neill. One thing that is clear in the Edison bio is that Edison was his own worst enemy far too often, usually as a result of his own stubbornness. The persona of the wizard inventor went to his head and he made so many ridiculous claims about his next great invention that his credibility gradually was eroded by his own behavior. 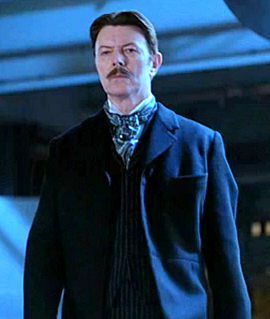 Not Tesla, but David Bowie playing Tesla in the film "The Prestige"
I know that wasn’t what the commercial was driving for. As Walter Peck says in Ghostbusters, “I’m not grotesquely stupid.” (Even though I do hate that man…) I just think it’s sad that we have to perpetuate the really inaccurate meme that Edison was the genius of the age. (My own tendency to promote Tesla notwithstanding.) Couldn’t they have found another way to write the dang commercial? But of course, advertising is essentially the manipulation of memes to promote certain attitudes and behaviors. Sorry for venting. I’m sure there will be a part two to this. Senator Fred Thompson, also known as a TV and movie actor and, for a brief time, candidate for US President, now has a radio show on the Westwood One radio network. His wife Jeri joins him on the show, which airs from 12 noon to 2 pm daily. The availability of radio stations during that time slot makes it a tough road for Fred; it’s right on top of the time when Rush Limbaugh airs his first two hours every day. Since I can’t listen to either one live at school, I tend to listen to Fred’s show as a podcast later in the day. Fred is great, with a commonsense approach and a lack of hyperbole. Jeri provides the edge that Fred lacks on the air – she’s tough and not afraid to speak her mind. Sometimes she’s a bit hard to take but no more so than Rush, and Rush gets to do it for three hours a day. 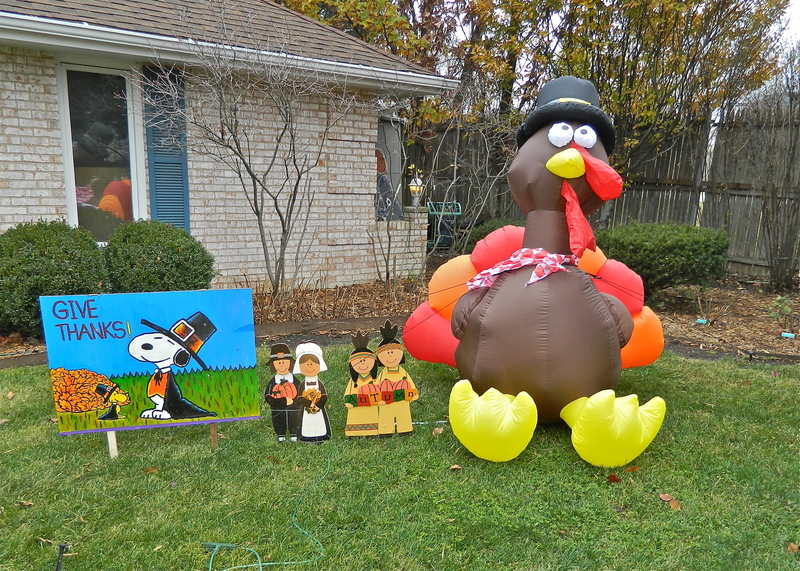 Fred also has a couple of guests per day. So far they such folks as currently serving Republican senators and representatives and folks like Gary Sinise and Victor Davis Hanson. They spend 10-15 minutes with Fred and are generally pretty interesting. The show has a higher signal-to-noise ratio than Rush, but is also less of an education about conservative principles. Right now I’m enjoying it quite a bit. You can find the podcasts on iTunes or access them from Fred’s site. I hope he gets enough of a run to build an audience.